On the scalp braiding with added synthetic hair or on natural hair for protective hair styling. Multiple hair extensions installation methods from sew-ins to tape ins. Adding virgin human hair to your natural hair for volume, length or pop of color. Also a protective hair style. Styling of the hair for special occasions/events. 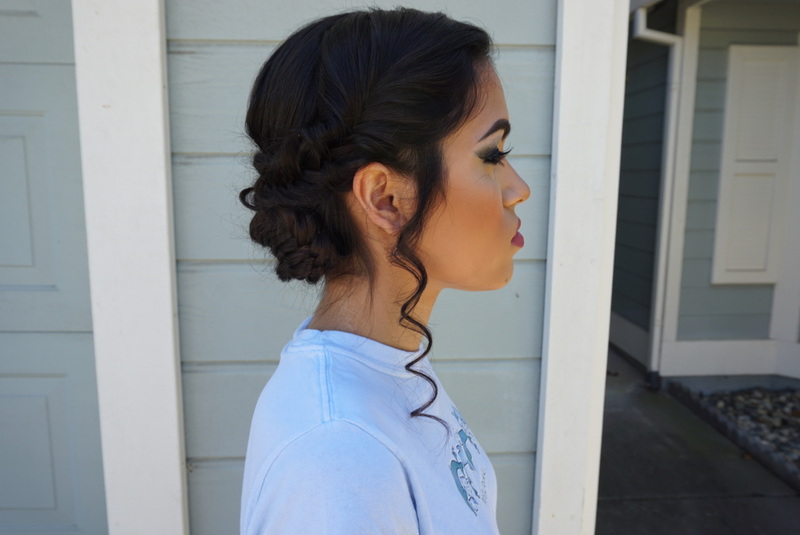 Updos, Curls and complete styling to match client's needs. Natural hair styling for natural clients who do not use heat on their hair. Flat twist, flexirod sets and more. Available for onsite hair for photo shoots of any sort. Multiple treatments used to help the hair and scalp be in a healthy state. Deep conditioning, hot oil treatments, and proteins. Cutting or Trimming ends to style of clients choice. Painting (coloring) your canvas (hair) to desired look using techniques such as highlights, full color, balayage, and ombre. Using ciripel hard wax, we wax the brows to clean up and shape the arch. Adding some tint to the natural brow to get a more defined look without having to apply brow powder everyday. Adding individual brow hairs to natural brows to fill in bald spots and make brows fuller. Legs, Arms, Underarms, Lip, Brows, and more. Adding individual lashes to natural lash for volume, length and fullness. No more mascara! Disclaimer: Photos are used for demonstration of services, some are not my work and just used for examples to help potential clients visualize the services being offered.